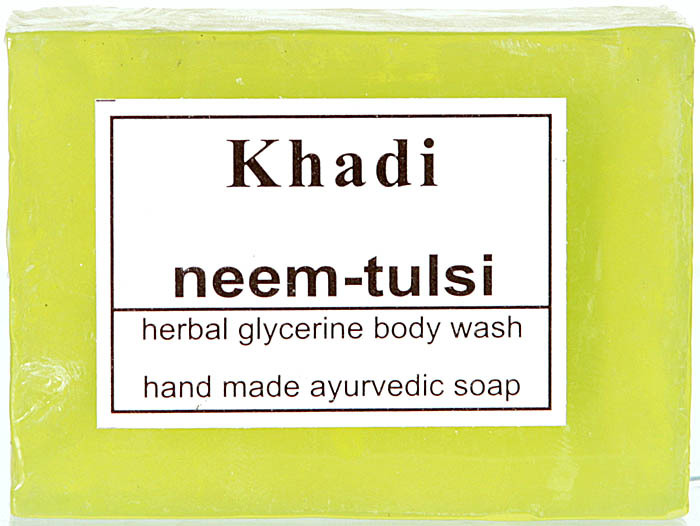 An Ayurvedic body wash cleanses the skin and body dirt. It removes dead cells from the skin and giving smoothness and soft feeling. Usage: Apply body wash on wet body and face, rub to produce leather, then wash off. Ingredients: each 100 gms, contains: neem patra 1.0gm, tulsi 1.0gm, santra 0.3 gm, haldi 0.2 gm, ghartkumari 0.2gm, kheera 0.3gm, glycerine 1.0gm, purified water q.s. soap base to make 100gm.